We hosted a Google I/O Extended event to bring the local agencies and developer community together. 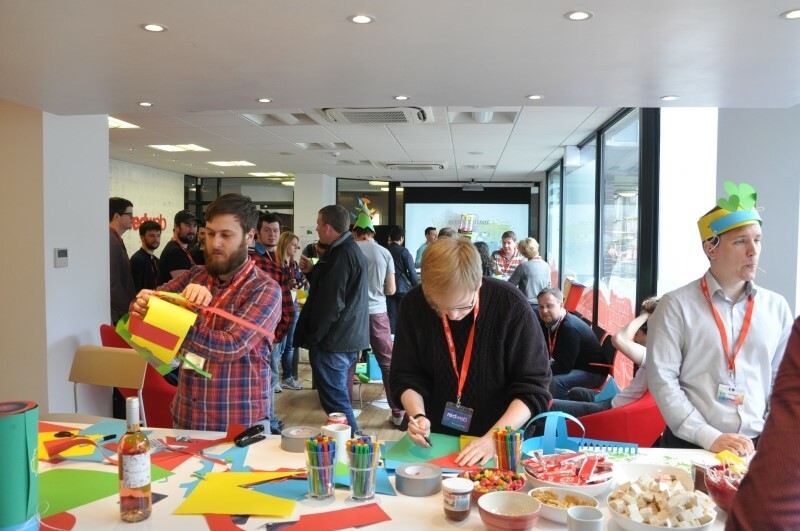 The agenda for the day included fun and interactive Google-related activities and speaker presentations, culminating in a live-stream of the main keynote presentation from Google. A Google-themed pub quiz, with Google I/O prizes up for grabs! Quick-fire presentations – 10 speakers, 20 slides, 20 seconds per slide. 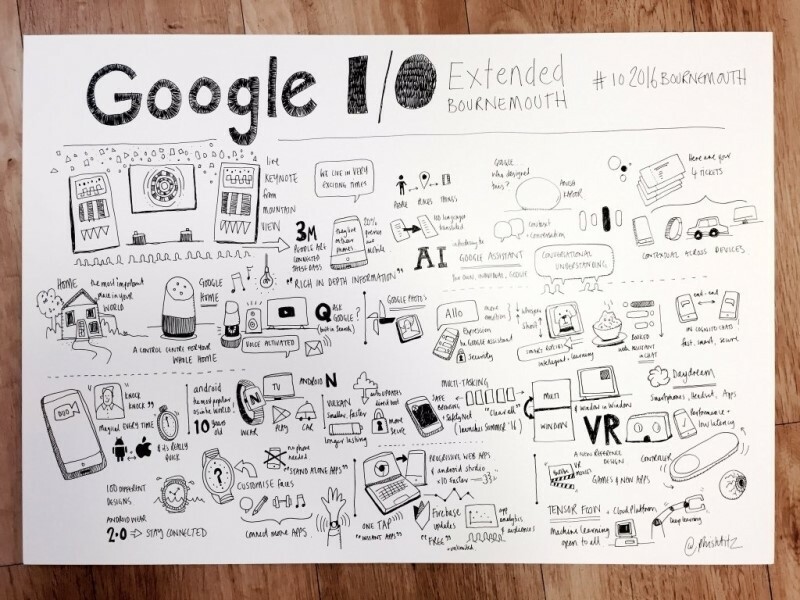 Tasked with curating a talk centred around the number “18052016” the date for Redweb’s Google I/O event. Talks ranged from 18,052,016 days of communication and haikus, to self-driving cars and a day in a Google-filled future. At 6pm the attendees tuned into the live-stream of the Google keynote presentation. You can see the biggest news from the event presented in the below sketchnote. Check out our photos from the day on Flickr.